At Kevin Ginnings Plumbing Service Inc., our team of Raytown plumbers offers their services to install, repair, and replace sinks. Whether you have a leaky faucet or clogged pipes, think about Kevin Ginnings Plumbing Service Inc. whenever you think about sinks in Raytown. Whether your Raytown sink is the kitchen or the bathroom, one thing that we can all agree on is that a working sink is necessary to live a modern life. When your sink breaks, you can’t brush your teeth or even get a glass of water. In addition, if your pipes leak for too long they can rot your cabinets and create a breeding ground for mold and bacteria. 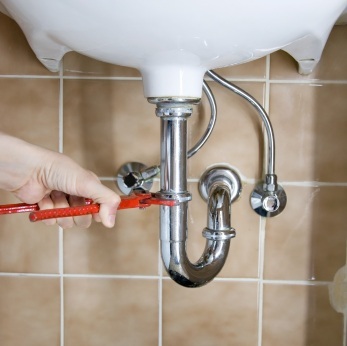 If your sink pipes are leaking, don't wait to get it fixed! We’re available 24/7 to repair Raytown sinks. In order to do the best job we can, Kevin Ginnings Plumbing Service Inc. uses the latest advances in sink repair technology. Our tools help us get the job done better, faster, and more efficiently. With our advanced equipment, there are no sinks in Raytown that we can’t tackle. Our many years in this business have taught us everything there is to know about sink installation and repair. This is why our Raytown sink experts never take too long to figure out what’s wrong and fix the problem. For all sink problems including aerators, faucets, pipes, garbage disposals and more, just call Kevin Ginnings Plumbing Service Inc.. Since 1985, we’ve seen sinks clogged with anything imaginable. After all these years, there’s not a single sink in Raytown that could surprise us. If you want to work with plumbers who can repair any sink in Raytown Missouri, call us at (816) 832-4322 today!